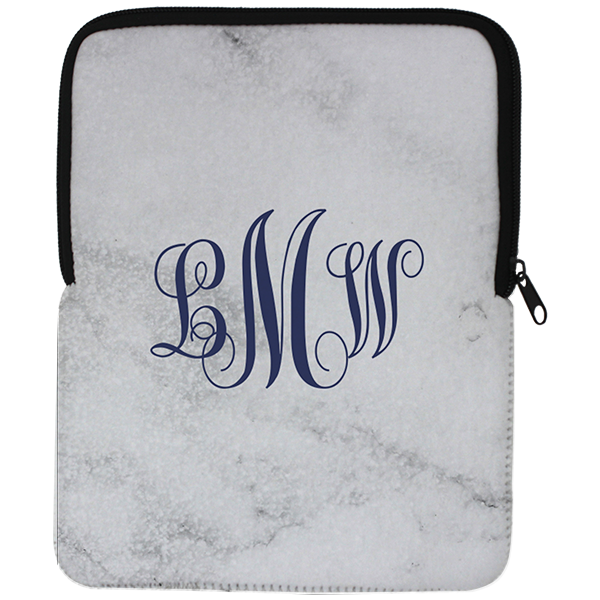 Make your soft and cushioned iPad sleeve look sharp with our White Marble iPad Sleeve. Finish it off with a muted navy monogram for the special lady in your life. Make your soft and cushioned iPad sleeve look sharp with our White Marble iPad Sleeve. Finish it off with a muted navy monogram for the special lady in your life. Our notebook measures approximately 7.5"x9.75" so it fits your iPad air securely. Notebook are made in the USA. A monogram adds a touch of personalization. Order today!